CERIC will publish an edited international collection of contemporary and emerging career development theories and models from 60 leading career researchers and practitioners in January. The book, Career Theories and Models at Work: Ideas for Practice, is edited by Dr Nancy Arthur (University of Calgary), Dr Roberta Neault (Life Strategies) and Dr Mary McMahon (The University of Queensland, Australia) and is expected to inform the practice of career development professionals around the globe. 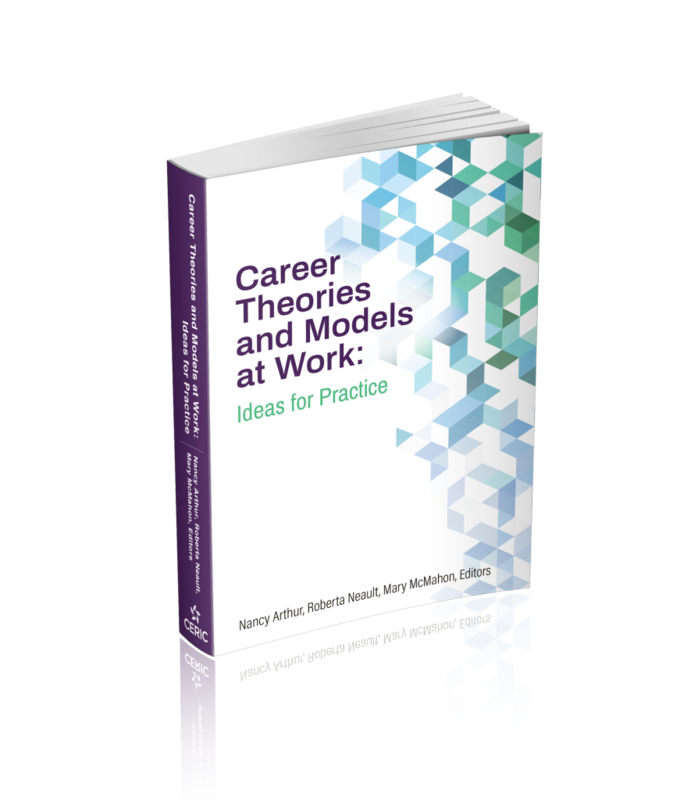 The resource includes 43 chapters on the theories and models that define the practice of career development today with contributors from four continents and nine countries, including Australia, Canada, England, Finland, India, the Netherlands, New Zealand, South Africa and the United States. The featured authors include the original theorists and those who have adapted the work in unique ways to inform career development practice. In order to effectively serve clients and the public, career practitioners need to be equipped with the latest theories and models in the field. Ethical career practice requires practitioners to be up-to-date with their knowledge about theory and how theory informs practice. This publication will provide practitioners with a tangible resource they can use to develop theory-informed interventions. In addition to serving new and seasoned practitioners, the book is anticipated to be used as a text for undergraduate and graduate courses in career counselling. Career Theories and Models at Work will launch at the Cannexus19 National Career Development Conference, January 28-30, 2019 in Ottawa where attendees will each receive a complimentary copy. Dr Mary McMahon will be delivering a keynote during the conference on Systems Theory and a panel of the book’s editors and authors will present a Mega session. The publication will initially be available for sale via Amazon and Chapters.Indigo in print ($59.95) with a 30% discount available on bulk orders and in ebook ($34.50) format. Dissemination of the book is helped made possible with the support of a select group of Knowledge Champions that includes CLSR and Wilfrid Laurier University. Visit ceric.ca/theories to learn more or contact marketing@ceric.ca to pre-order the book or join as a Knowledge Champion.